Bath - Shampoo and conditioning bath, drying, brush-out, nail trimming, ear cleaning, and cologne. Mini groom- Shampoo and conditioning bath, drying, brush-out, nail trimming, ear cleaning, cologne, pad and sanitary shaving, and light trimming around the face, Feet, and belly. Full groom- Shampoo and conditioning bath, drying, brush-out, nail trimming, ear cleaning, cologne, and an allover haircut. 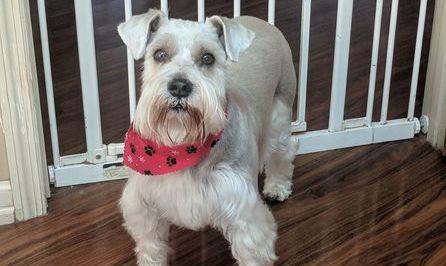 Pampered Pet Package - Includes special shampoo and deep conditioner with their bath, facial scrub, nail grinding, teeth brushing, bows/bandana, and a goodie bag with their toothbrush and dental treat! Furminator De-shedding treatment - Reduces up to 90% percent of shedding. This treatment consists of using the special Furminator shampoo and conditioner that is designed to loosen the pets undercoat. After drying the pet, the treatment will be completed by using the Furminator brush to remove the loose undercoat.